Buck was imported from the Tumbleweed Kennels in Texas, USA in 2003 to bring in fresh new lines. Buck has the best show personality when he is in the ring and a very laidback personality at home. He loves all the attention he can get and has taken up residence inside the house instead of outside with the other dogs. 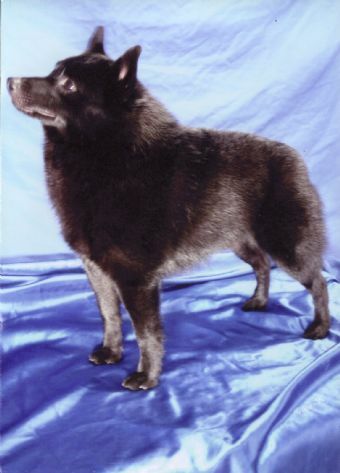 And his biggest highlight of his career:Reserve Best of group, Intermediate of Group and Intermediate In Show at the 2003 National Dog Show. Buck was semi retired in 2006 after a brilliant show career. He still comes out for the occassional Specialty show and Veteran Stakes. 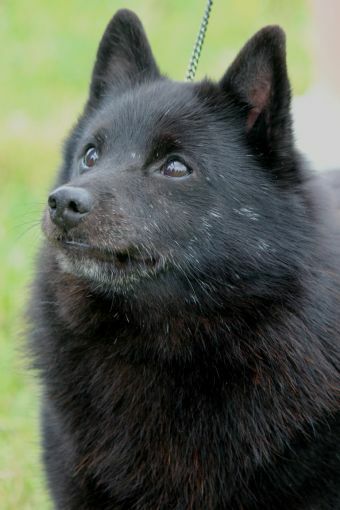 We would like to say a big Thanks to June Moore of Tumbleweed Schipperkes in Texas, USA for allowing us to have this wonderful amazing dog. Buck has sired many litters. All producing beautiful puppies that have gone on to become very successful show dogs and Pets. 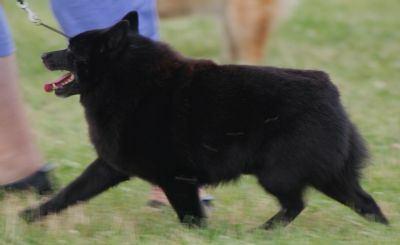 One of Buck's sons was exported to Finland in 2009 and is doing very well in the show ring. Buck also has progeny in Australia which have all gone on to excel in the show ring.